"CAI Recon Optical specializes in the manufacturing of reconnaissance cameras, sensors and other equipment for the aerospace industry. Our building is over 30 years old with a constant volume system that serves both the core and perimeter areas of the building. The only insulation we have between the outside of the building and the occupied spaces inside is the 3/8th thick glass surrounding the building. Needless to say, the core area of the building is always too hot in the winter and too cold in the summer. We needed something that could be installed in the core area of the building to give us more localized control. The temperature swings in the perimeter area were making life miserable for our employees working the interior areas. The LEOPARD INTELLIVENTS® gave us the opportunity to provide individual control in every interior office. The INTELLIVENTS® have performed beyond our expectations. You can walk through the interior work area and feel comfortable all year 'round. The temperatures in each office are extremely accurate. We installed them in two phases without disrupting anyone' s work schedule. Master and slave combinations have worked especially well in open office areas and conference rooms." "We were retrofitting several buildings at a major university that required VAV retrofit terminals. There were over 100 size requirements. This forced us to customize the job and we had to find a manufacturer who was willing to deviate from their standard sizing and provide us with customized retrofit terminals. 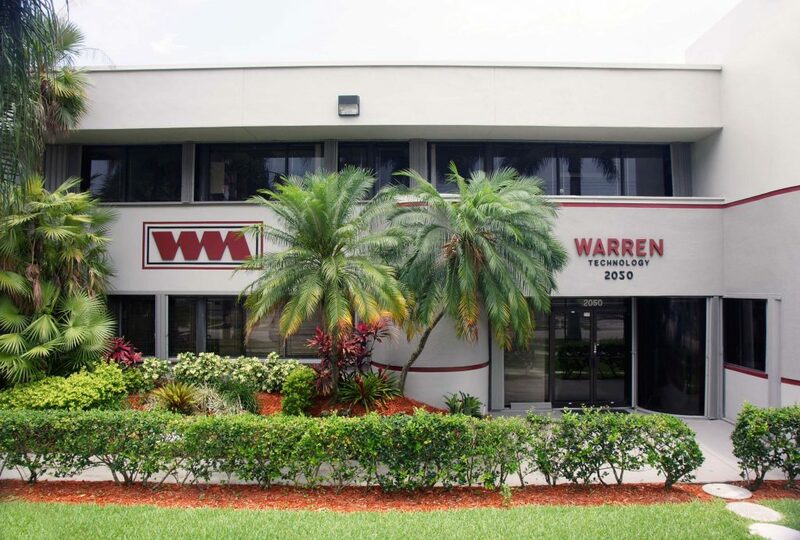 Warren was the only manufacturer who could meet our requirements and deliver the product in less than eight weeks. One of the manufacturers we contacted told us that it would take them months to fill this order. Warren customized over 400 QUIET PLUS® retrofit terminals for this project and shipped the first 115 retrofit terminals in less than four weeks. The quality of the QUIET PLUS® retrofit terminal units and the factory follow-up have exceeded our expectations for this project. The units are extremely quiet and the college is very satisfied with the project which came in under budget and on time. We look forward to using more QUIET PLUS® VAV terminal units in the future." "We own a new six story commercial office building designed for professional health services. We have over 300 Warren QUIET PLUS® terminal units installed in this building. There have been very few complaints about noise since our building opened. That is surprising since we have fan powered terminal units surrounding the perimeter. The Warren QUIET PLUS® terminal units are extremely quiet." Jay Shapiro, Director of Facility Operations "With some VAV box manufacturers, you have to keep going back out to the job site to fix something that should have been working properly when it left the factory. Since profit margins are already cut to the bone, making these types of service calls becomes very costly for us. We did not experience these types of problems when we installed the QUIET PLUS® terminal units from Warren at Pal Med Health Services. The installation went smoothly with very little follow-up required at the job site since it opened." "The QUIET PLUS® VAV terminal units are much more sturdy than the other VAV boxes we have used in the past. The quality of the Warren product that we used at Skaggs Community Hospital is excellent. The linear characteristics and laminar airflow pattern throughout the throttling range is excellent. There is virtually no throttling noise at all with these units. We are very comfortable recommending this product to any of our customers."